Founded in 2001, Radcom Co.,Ltd, based in Ulaanbaatar, acts as a reseller of radio communications equipment. With the rapid global changing of technology, the field of telecommunications is also growing fast. Radcom Co .,Ltd, with its experiences and determination, stands firmly in its role and becomes a much more successful expert in this field in Mongolia. Each product is especially designed to suit different purposes. Some of the models are used on land, inside cars, on marine vessels, or inside aircraft. Starting from the beginning, Radcom Co.,Ltd is eager to concentrate on the radio communications field and keep track of the changing and newly developing communications equipment. This is why the latest products can be offered by Radcom. Because of the market sensitivity, many buyers from Mongolia like to place orders to Radcom. Most of them have been business partners for many years. Radcom Co.,Ltd provides repair services within 3 years guarantee and its repair center regularly provides adjustment, repair and maintenance services within guarantee period for all the equipment Radcom sold to customers. 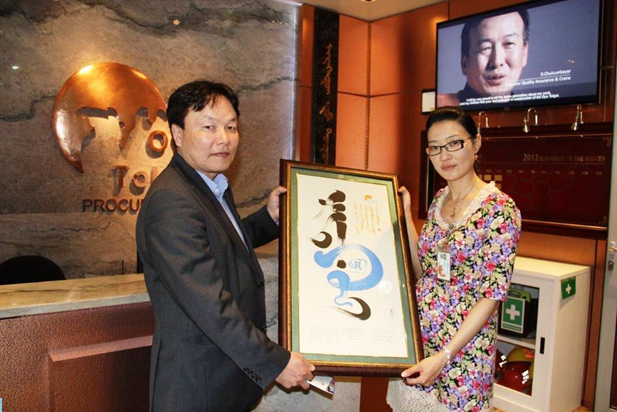 Radcom Co Ltd become the best supplier of the month April, 2013 of Oyu Tolgoi Project.